First of all, the acquisition of Softcard is still in the works, as we previously reported. Next is cooperation from American mobile carriers. They lost a lot of money on Softcard, but carriers don't like sitting idly by as Apple makes all the royalties from Apple Pay. 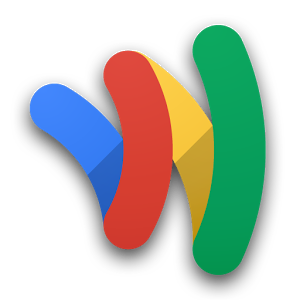 Google, according to the report, is willing to let the carriers get a cut of the mobile payments earnings, even after putting Softcard out of its misery. This could help equalize an advantage that Apple Pay has currently: cooperation of third parties. A key to the success of Apple Pay is the relatively wide adoption by relevant companies, from banks to credit cards and retailers. Disgruntled carriers can help Google get consumers to take notice of Wallet by using incentives or just promoting the service. Meanwhile, the Journal reports that Google is hard at work getting Mastercard and Visa fully on board with whatever is next. But what is it that they are working on? Something is still missing from this story. Google seems to be getting their ducks in a row for something, but it has to be more than just a marketing push of the same Wallet we know and love...well, maybe use once in a while. What they are doing is anyone's guess, but this gives us perhaps our first legitimate piece of news to look forward to from Google I/O 2015 beyond the usual speculation about operating systems and Nexus devices.